It is alarming to think that people once knew what Conservatism meant and what it stood for, and how much since then doubt has set in. How radical is the Conservative Party today, compared with what it should be? What proposals would really shake up Whitehall and Brussels, spark up business, and fire up the economy? What policies would really galvanize the nation, break the stale consensus, and engage an electorate today indifferent to politics and distrustful of politicians? A senior backbencher, a leading policy guerillista, and Margaret Thatcher’s eminent lieutenant here get together to suggest a platform for the next Government. This pocket guide helps the reader to measure the inventiveness of the Conservatives and other parties as they set out their manifesto stall. This book suggests one hundred ideas to put the party back on track, to reconnect with what average voters beyond the W11 postcode hope for and aspire to, and what they expect Government to do to help. Not everyone will agree with everything in these pages, nor is the list a complete one. Nor do the authors confine their aspirations to the Conservative Party alone: with the nation’s needs uppermost, they would be delighted to see such proposals adopted across the political divide. 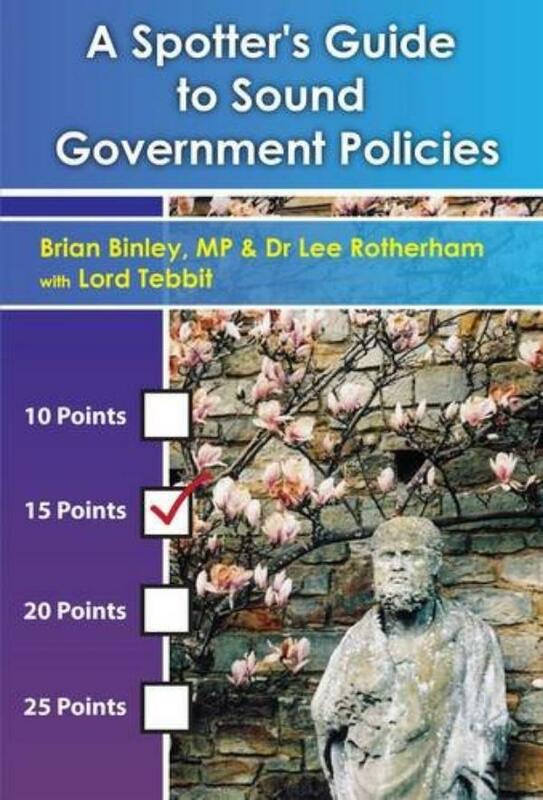 Brian Binley MP is a British Conservative Party politician. He has been the Member of Parliament for Northampton South since 2005, entering Parliament after a long career in local government in Northamptonshire. He currently sits on the National Board of the Conservative Party. Dr Lee Rotherham is an author and veteran political campaigner who has advised a number of front benchers. He is also an army reservist who has undertaken three tours of duty. He has twice been a Conservative candidate in general elections, in St Helens South (the ‘butler seat’) in 2001 and in Rotherham in 2005. The Rt Hon. Norman Tebbit, Baron Tebbit, CH is a British politician who served in the Cabinet from 1981 to 1987 and was a Member of Parliament from 1970 to 1992. He gave up his parliamentary seat for Chingford in 1992, and has since sat in the House of Lords as Baron Tebbit of Chingford.